Years ago, I attended a talk by one of WH Smith's book buyers, the gist of which was that some authors are brand names whose books were stocked regardless of appearance, but for less well-known or new authors, book covers were a vital part in Smith's selection process. My favourite is In the Bleak Midwinter and I have to admit the cover picture was the reason I picked up the book to have a closer look at it, thereby proving the long-ago speaker's point. 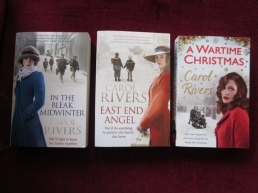 Having said that, I loved the book and it started me off on the highly enjoyable journey of reading Carol Rivers' other novels. Publishers use covers as an essential part of the branding process. 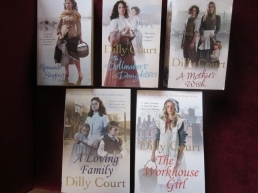 Arrow has published Dilly Court since the early 2000s. 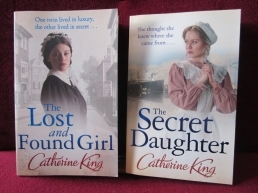 Take a look at her early titles beside her most recent. Yes, the books are trade paperback sized now and the typeface of the title has altered, but there can be no doubting the brand. …while Sphere are doing it for Catherine King. 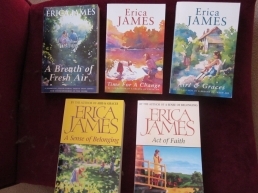 Choc Lit books are notable for their range of cover styles, as befits the wide range of romances, from comedy to historical to timeslip. 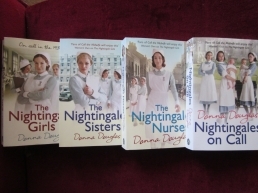 These Choc Lit covers are the work of Berni Stevens and I'm delighted to say you can find out more about her and her work in next week's blog. Does it bug you when a cover doesn't get it right? It does me – especially when the book deserves to have a cover that is spot-on perfect. 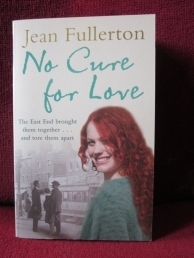 Take No Cure for Love by Jean Fullerton, a hugely successful novel with umpteen 5-star reviews. Have you ever met anyone who read it, who didn't immediately say, 'The hanging scene was amazing,'? Hmm. Slapped wrists, whoever did that. ...to modern designs. Which do you like best? I hope you have enjoyed this celebration of cover art. Next week, the talented book cover designer Berni Stevens will give us an insight into her work. Oh, and if you're wondering about the book that the WH Smith's buyer refused to name, here it is. Pretty cover, don't you think? 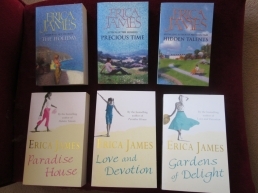 Thank you for the mention and I'm glad you like the Choc Lit covers :-) I totally agree that covers are extremely important and some are very disappointing. I don't think I'd reject a book just because I felt the cover was wrong (especially not from a favourite author) but I do pick up eye-catching ones. 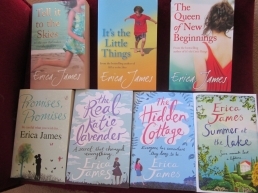 Being a book collector, I also like covers that match and get very cross when publishers change the size or design of an author's books mid-series! I agree so much about the importance of covers. I really enjoyed No Cure For Love - but while I didn't dislike the cover, I thought the cover for the sequel was much better. I am very chuffed that you have included my cover for Flight To Coorah Creek.. I take no credit for it, of course. Bernie did a wonderful job on it.. as she does on so many Choc Lit covers. Fascinating post, Susanna. Choc Lit books have such beautiful covers and I'm looking forward to hearing from Berni in your next post. Have to say, though, that having experienced many 'bleak midwinters,' that book cover wouldn't be my first choice!